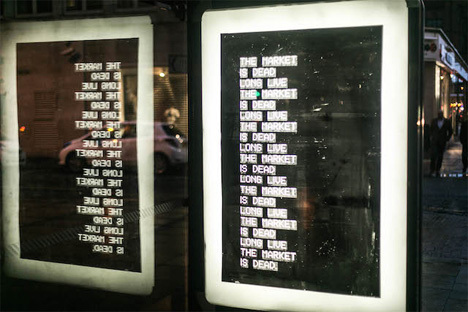 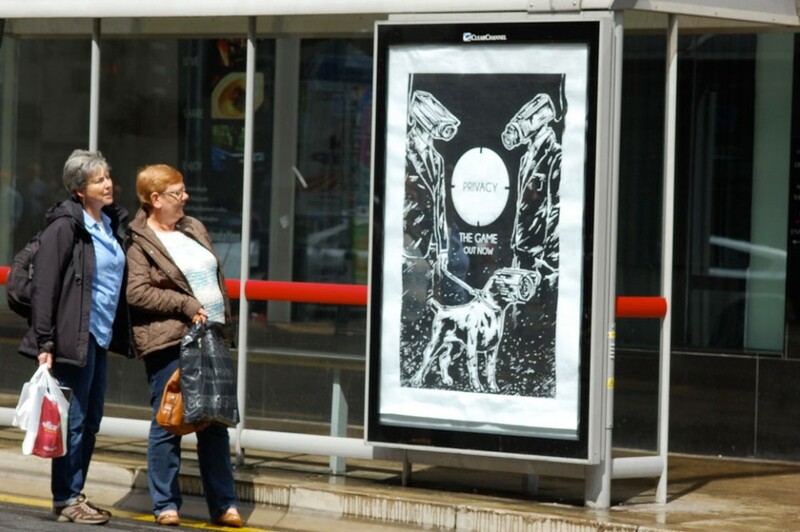 Over three hundred bus shelter ads across the UK have been replaced with thought-provoking works criticizing capitalist culture by 40 street artists. 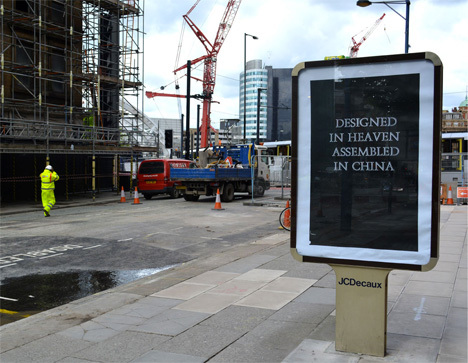 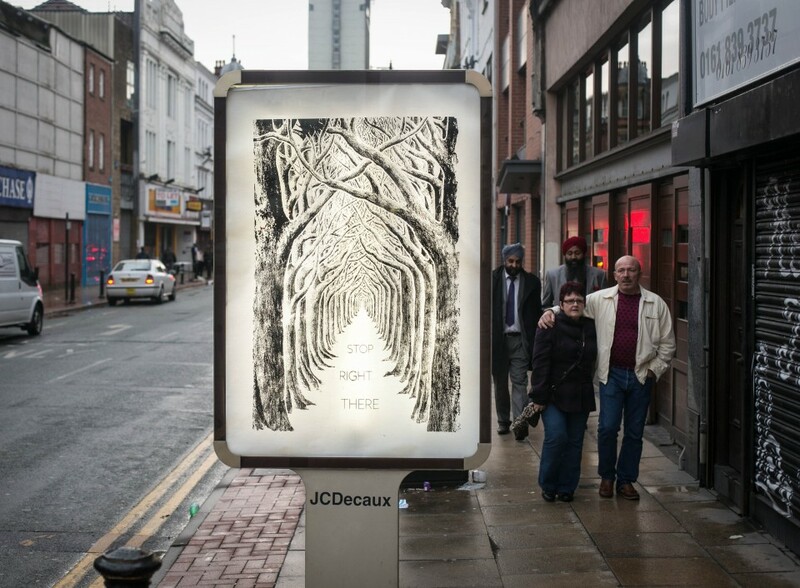 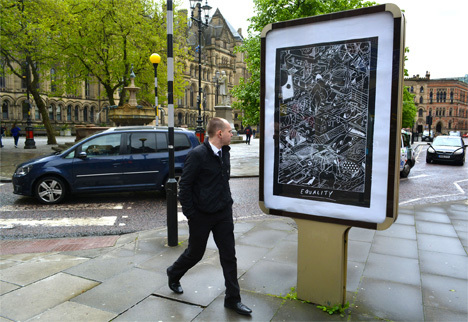 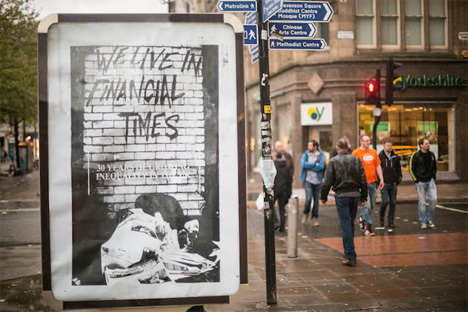 The ‘Brandalism‘ posters were installed in high-traffic areas, from the busiest shopping district of London to the Leeds Half Marathon route and even outside Scotland Yard, right under the noses of the police officers lambasted by several of the designs. 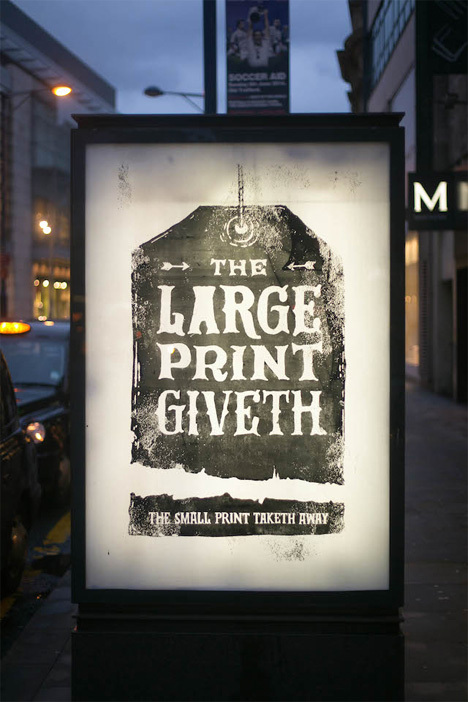 “The large print giveth, the small print taketh away,” reads one, while another parodies Harrod’s department store with “Horrids – trite gewgaws, trinkets & trash, the cluster bombs of consumerism.” “The market is dead, long live the market,” a third repeats. 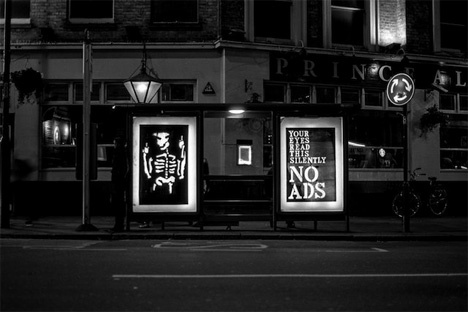 The campaign is a response to the fact that the UK’s advertising industry pays just under 250 per person each year to reach the ears and eyeballs of the citizens i the hopes of selling things like “adjustable mops and leather sofas.” Plus, the industry relies on manipulation ranging from the subtle to the overt, convincing us that we won’t be happy until we make more money in order to purchase all of this stuff. 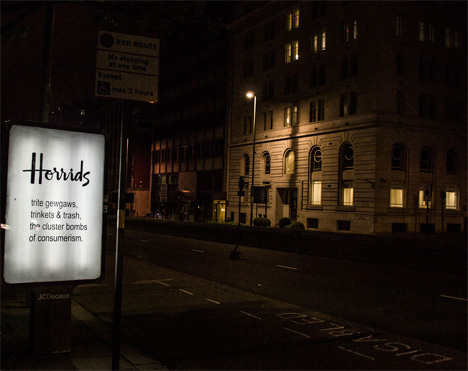 It’s not about catering to our needs, it’s about creating new desires.